Reed’s remarkable career, which tells the story of Bauhaus and Black abstraction in the 20th century, is more significant than ever. 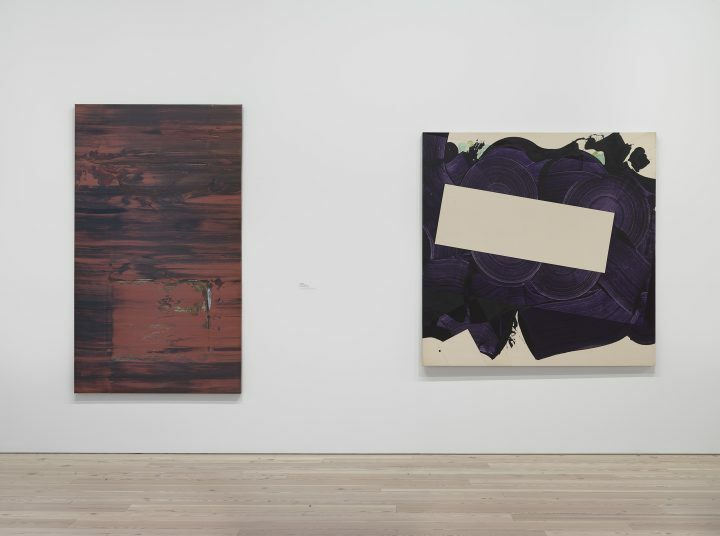 In 1973, the artist Robert Reed celebrated openings for three exhibitions in New York: one at the Washburn Gallery in Manhattan, one at the Webb & Parsons Gallery in Bedford, and one at the Whitney Museum of American Art. It was a major year for Reed, a former student of the visionary Bauhaus abstractionist Josef Albers, and also the first and only tenured African American faculty member in the history of the Yale School of Art. After the closing of those exhibitions, however, something happened — or rather, didn’t happen. 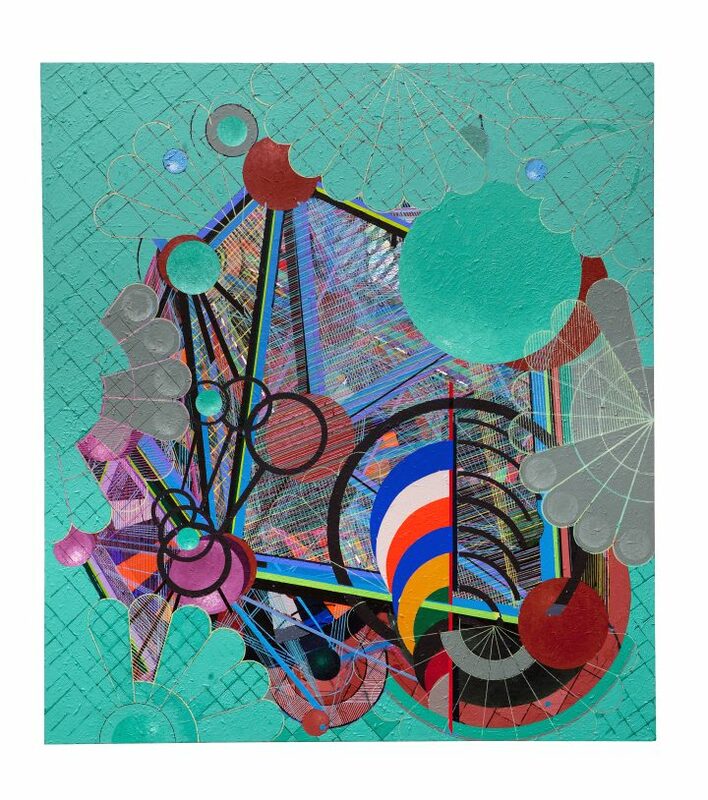 Reed’s work was rarely exhibited for the next 40 years, until after his death in December 2014 when stacks of paintings, piles of collages, and books of prints and drawings were “discovered” in his studio in New Haven, Connecticut. Now, during a time of intensified review of under-recognized Black artists, and particularly in midst of celebrating the Bauhaus centennial, Reed’s remarkable story and the clues he left in his work to tell that story are more significant than ever. Reed was born in 1938. He had only recently graduated high school when the Brown v. Board of Education of Topeka ruling was announced (but still did not put an end to segregation in Charlottesville, instead resulting in Virginia Senator Henry Byrd’s “Massive Resistance” policy). Reed then experienced major culture shock after he graduated from Morgan State University, a historically Black college, and started pursuing his BFA at Yale. He grew up in a Black community in segregated Virginia, and his move to Connecticut meant that he, unlike African Americans who were born and raised in northern states, had to learn as an adult to navigate a seemingly integrated, but no less racist establishment. The genesis of Reed’s endlessly intriguing, productive, enjoyable approach to color seems fundamentally linked to his work with Albers. For Reed, who stepped off the train and arrived in New Haven with very little money, the reality-altering alchemy of Albers’s color theory must have seemed compellingly transformative. In 2015, the parallels were clear between Yale’s memorial retrospective Robert Reed: Non-Stop Painting and the exhibition of his mentor’s work in Search Versus Re-Search: Josef Albers, Artist and Educator at Yale’s 32 Edgewood Gallery just down the street. The Albers exhibition even included silkscreened pages from the original limited edition version of Albers’s book Interaction of Color, with inks that Reed himself had mixed. In 1963, Albers trusted him to create and write down the recipes for each of the colors printed in the book; Reed would later boast to his students that this experience taught him how to mix any color he wanted. Reed’s exacting sense of color drew attention early on. He used to tell the story of how Albers would give other students feedback, but for the first few weeks of the course, Albers would merely stand behind him while the young artist manipulated paper from his Color-Aid pack. One day, Albers pulled Reed aside. He said that he would be away for the next class and asked if Reed would lead that session instead. A photo of Reed in Albers’s famous color class reveals him as the only Black student. His work, however, would forge new senses of his educational institutions’s relationship to color; Reed gives colors linked to those institutions a different, idiosyncratic life, an aesthetic life that charts his own unprecedented navigation into and through higher education. … organize fragments, paths, cultural, and universal signs and symbols, remembered childhood images and places into a pictorial stew. The ingredients are autobiographical in nature … suspended in a cultural broth of Virginian memories and earth. They are meant to be swallowed whole. Layered as they may be, they are not abstract, but rather referential. All ingredients have [as] their basis a “real” form which exists solidly in the real world in real space. Reed’s personal color palette had symbolic resonance often only evident to himself or people in his immediate circles. For instance, Reed, who was born and raised in Charlottesville, Virginia, used actual red clay from his hometown as the base of his paintings, sometimes mixing the color to match and at other times adding the reddish brown earth directly to his paints as a pigment. In Non-Stop Painting, this red-brown color was seen throughout, in work like “Untitled Construction,” “Tree for Mine,” and “Tree for Mine, Rose Hill.” Reed coded his work with personal references that specifically reflected institutions and places in which he lived, studied, and taught. He brought into his work the school colors from Jefferson Elementary School (red and black), Burley High School (green and gold), Morgan State University (blue and orange), and Yale University (blue and white), to which he remained dedicated for many decades of his life. 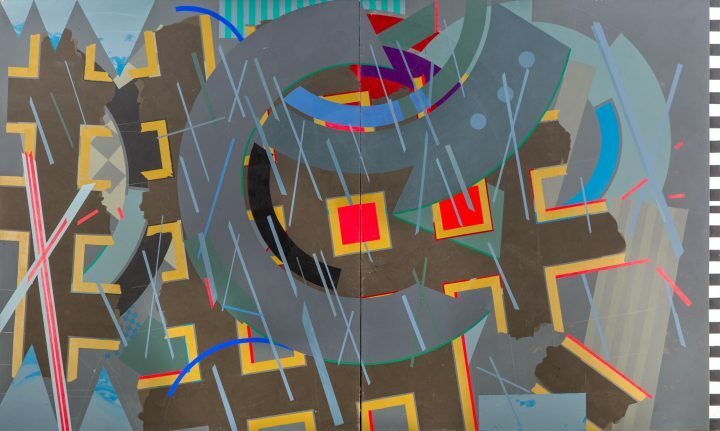 Reed’s use of color to represent personal passage through different contexts goes beyond the colors in the paintings themselves: his approach makes its way into his titles, as well. The title of an artwork may be the sneaky “invisible color” (as Marcel Duchamp insisted), but Reed often made his titles both explicitly colorful and tied to places, institutions, and various phenomena that contributed to his life. At a rare gallery showing of Reed’s work in Miami in 2011 at the Formalist Sidewalk Poetry Club, friends from Reed’s hometown delighted in titles such as “Sigh Less Green” (in reference to Silas Green from New Orleans, an African American owned and run variety show that toured southern states) and “Green Gager,” which spoke directly to Reed’s childhood neighbors who knew of the greengage plum trees in their hometown. Sometimes, Reed’s playful reworking of color still alludes to the senses of color associated with the segregated world he knew. It’s possible, for instance, that the title of his painting “Tree for Mine, Rose Hill” refers to the pink color in the bottom left corner while also subtly recalling Rose Hill Drive, a street named for the former Charlottesville Rose Hill Plantation, the upper portion of which was divided into African American neighborhoods. Reed attended segregated Burley High School for Black students, which was notably located at 901 Rose Hill Drive, after the Charlottesville School Board combined Reed’s former Jefferson School and two other Black high schools in Charlottesville and Albemarle County into a single high school for all the Black students in the area. “Tree For Mine, Venable Dump” might similarly refer to another area school, this one being Venable Elementary, one of two white city schools that were ordered to integrate but fought integration until the segregationist Governor Lindsay Almond ordered the schools closed. Pivotally, Reed is titling these paintings with the phrase “Tree for Mine,” intimating self-possession and an individual reconfiguration of the senses previously assigned to different places and experiences, all while playing with variations close to the sounds of the numbers “Three Four Nine” (Reed’s childhood address in Charlottesville was 349 10 1/2 Street). The contextualized meanings dramatized in Reed’s paintings often need to be drawn out in this way, delicately — Reed was not a heavy-handed artist. 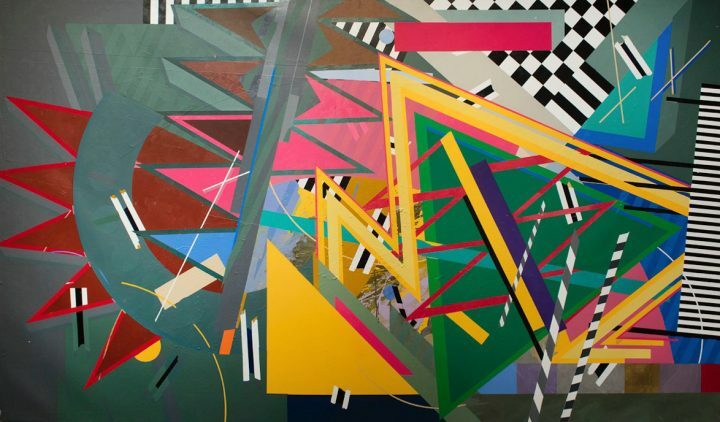 At first glance, the large abstracted painting “Wash and Park (Washington Park),” which contains six years of layered painting, reveals Reed’s fascination with constellation and geometry. The second half of the title refers to what was Washington Park (now called Booker T. Washington Park), the first recreational space reserved for African Americans in segregated Charlottesville. The park was created after the land was first deeded to the city for what was then called Belmont Park, a segregated, whites-only public facility. The first half of the title, “Wash and Park,” plays with the sounds of the park’s name while also revealing Reed’s humor and invention, something he often relied on to transform perhaps ambivalent memories into pleasurable visual experiences. While standing in front of “Wash and Park (Washington Park)” in the memorial retrospective Robert Reed: Non-Stop Painting, Reed’s wife Susan told me that Reed started the painting by projecting a photograph he had taken of their Paris hotel room. He traced the lines of a ficus tree and a pair of little black socks that Susan had washed and hung on the French railing to dry. The negative space of the balcony railing outside the window became the ground upon which Reed layered lines that have been the paths in his life. 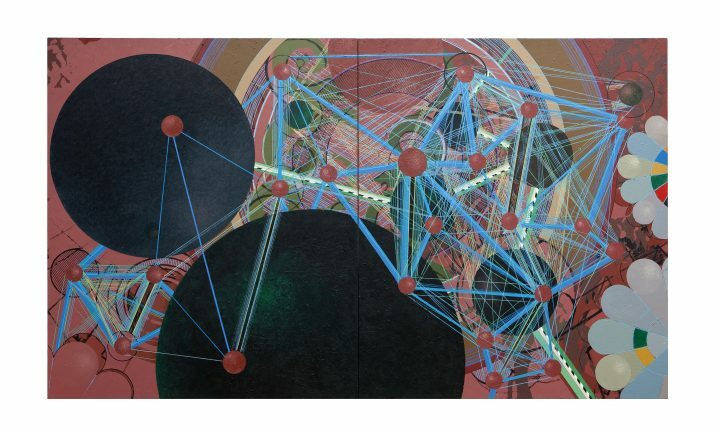 Other than the occasional shape of the grouped ficus leaves, very little of the original drawing is visible, hidden under layers of dark glowing spheres, a network of lines, and abstracted forms. As Susan told the painting’s origin story, Reed’s longtime friend Chris marveled, “So you washed your socks and parked them on the balcony railing. Hence, ‘wash and park.’” A new discovery had been made and another code is broken. It’s likely that Albers, who was famously noted for saying “Art is not an object, but experience,” would have understood. 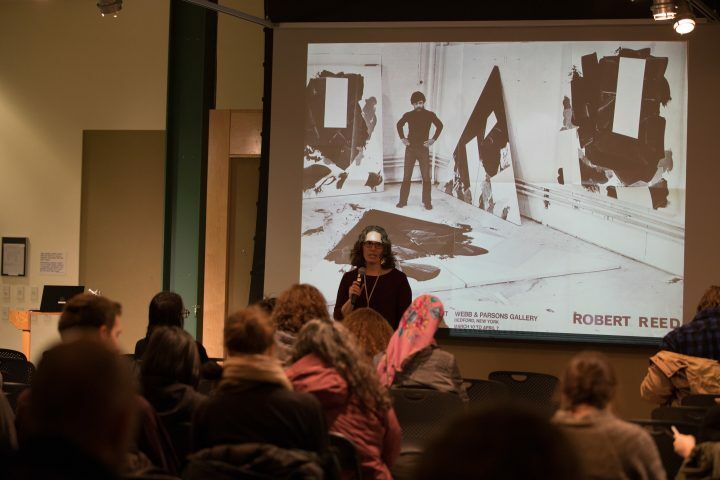 Registration is open for the Robert Reed Drawing Workshops and Symposium on Saturday, March 23 at Hunter College and the Whitney Museum of American Art. There is no fee to register. The first workshop was held Feb. 21-24 at Penn State University. More information about the event and the registration link can be found on the Robert Reed Drawing Workshop website. 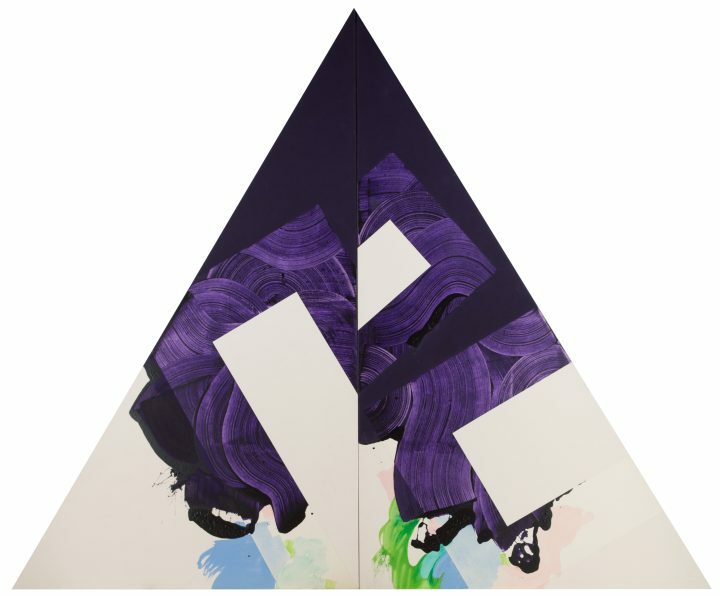 Robert Reed: San Romano Series will be on view at Pilar Corrias in London from April 12–May 29. Editors note 3/26/19: An original version of this article stated that the Washburn Gallery was located in Washington, DC. The gallery is located in New York.